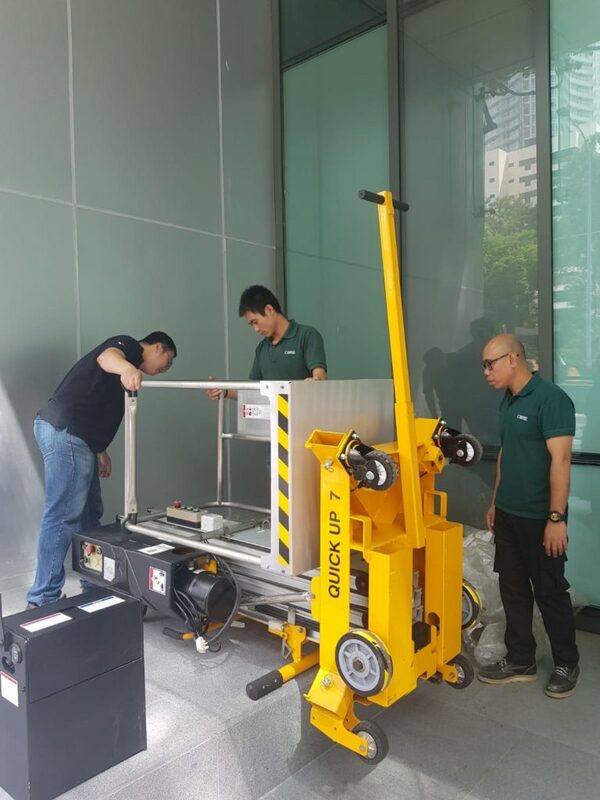 JSB sells and rent Haulotte personnel lifts and they can be easily set up by a single person in minutes. 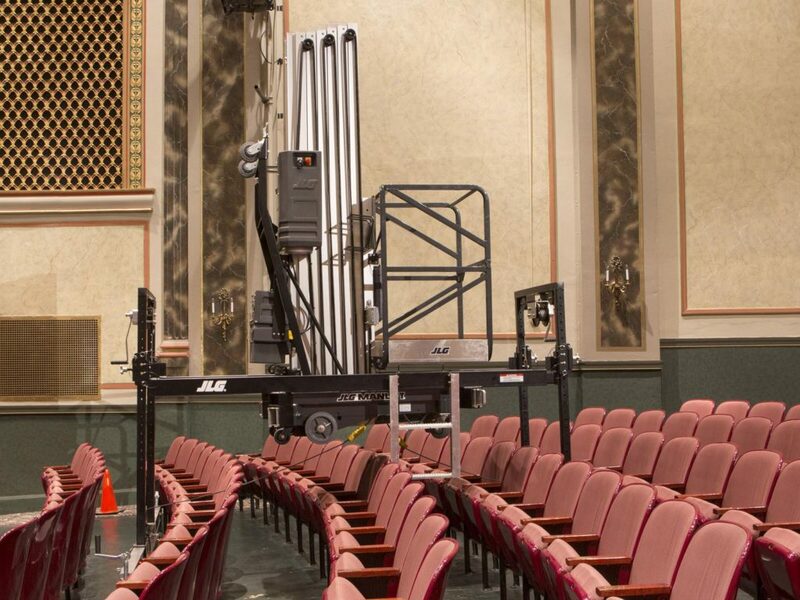 Because of their light-weight and compact size, Haulotte personnel lifts are convenient to use in schools, churches, warehouses and more. 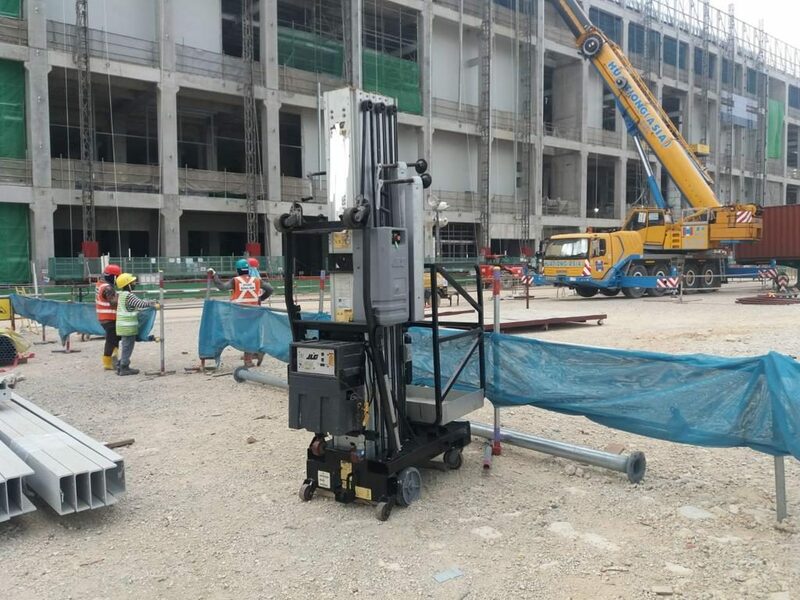 Haulotte personnel lifts also provide solutions for internal work on large construction sites, like high rises, as well as being perfect for light-duty construction purposes. 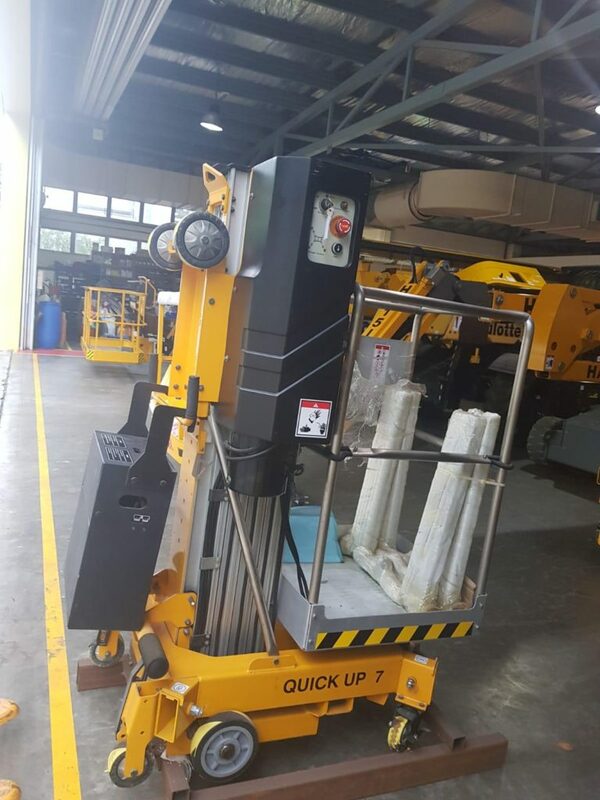 Haulotte personnel lift’s light-weight construction makes them easy to maneuver, use and transport, delivering maximum uptime. 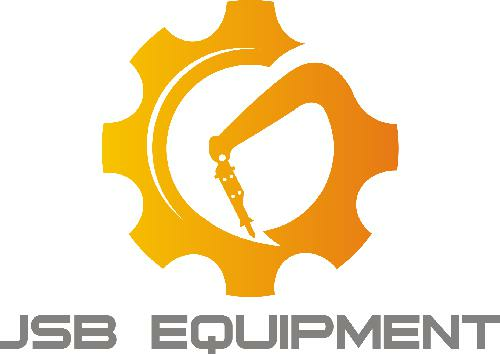 Each model offers a variety of options and accessories to customize your machine. 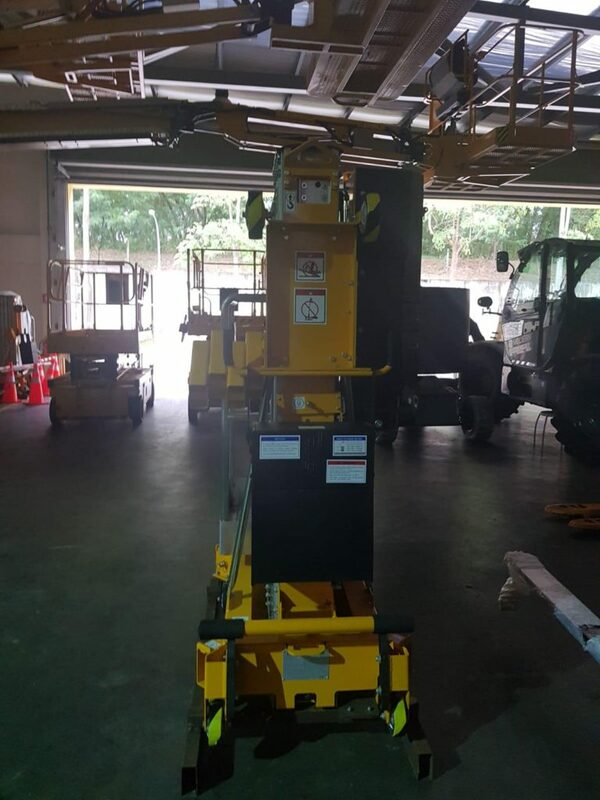 The Haulotte has the largest lift capacity out of these models and can lift up to 750 lbs. 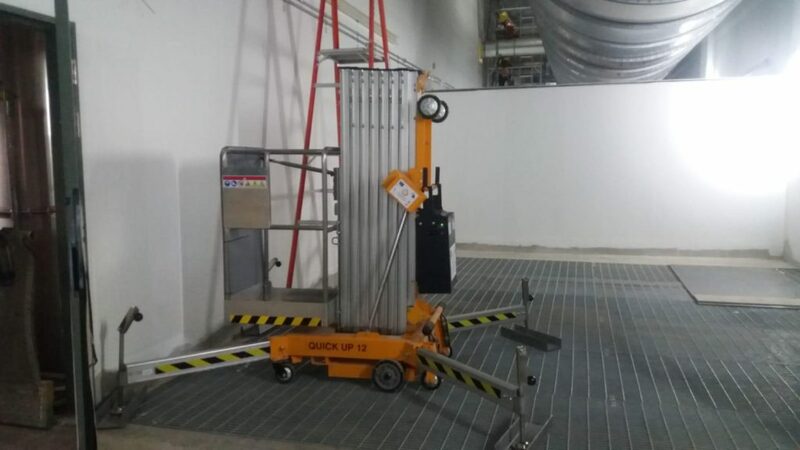 Haulotte personnel lifting platforms offer an economical solution for all your access needs. 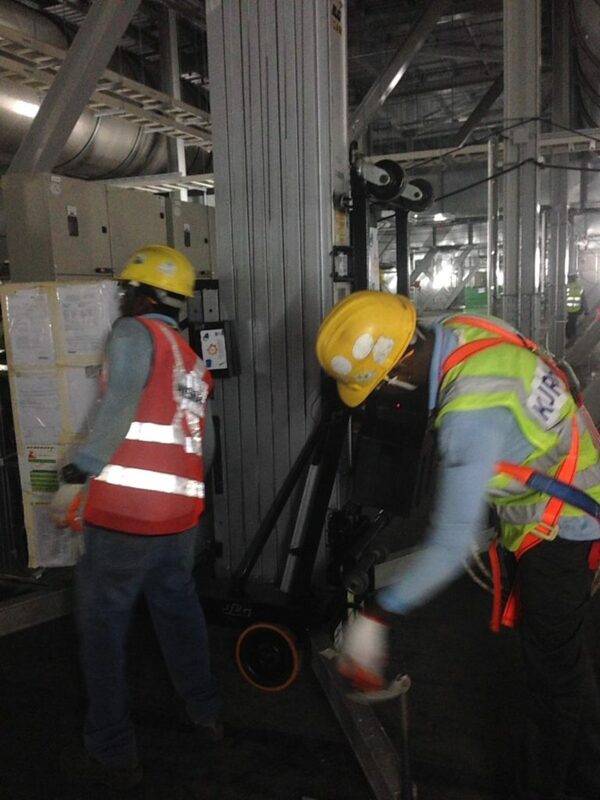 Contact Us today for all your personnel lift needs! 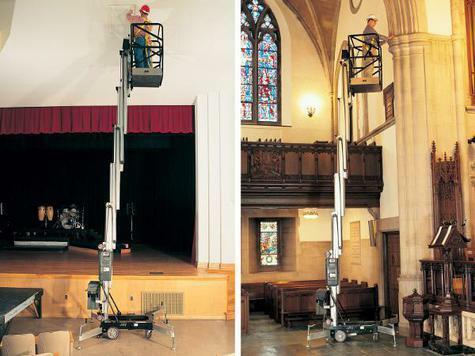 The Haulotte Quick Up DC push around boom lift is a perfect light weight platform for indoor use. 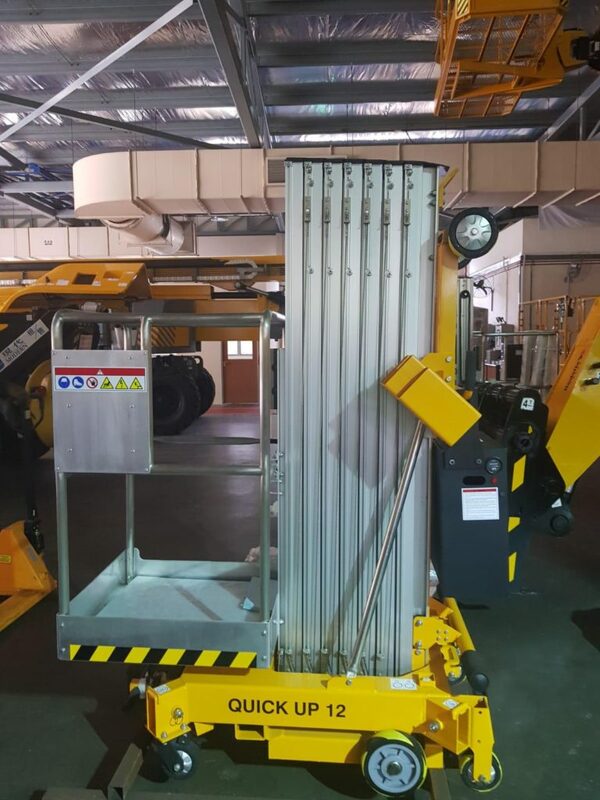 Their convenient compact size with an 80cm width allows them to be pushed through standard doorways and congested areas quite easily. 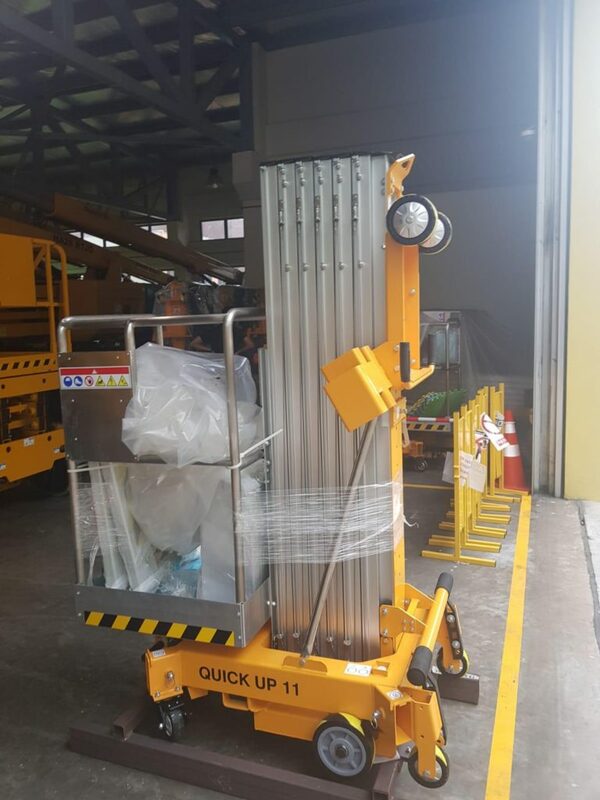 They can also be transported on trailers or vehicles, including vans and utes, and installed very quickly by one person. 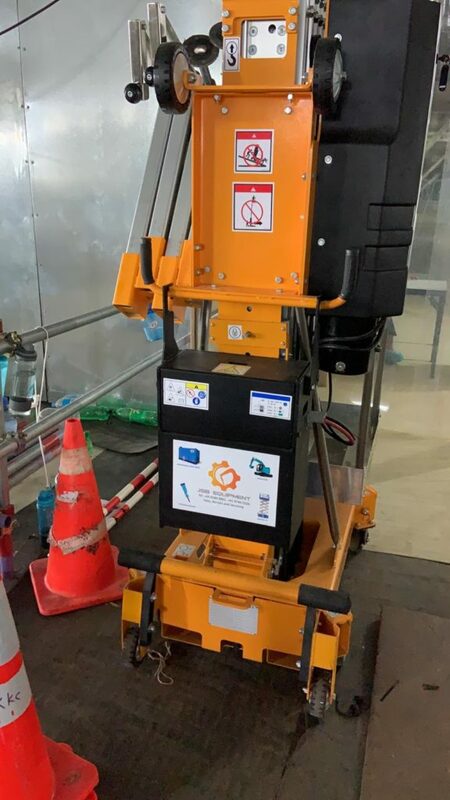 With a lift capacity of 125-136kg, a working height of 7-14.30 metres and included non-marking tyres, these light weight boom lifts are ideal for indoor installation and maintenance tasks. 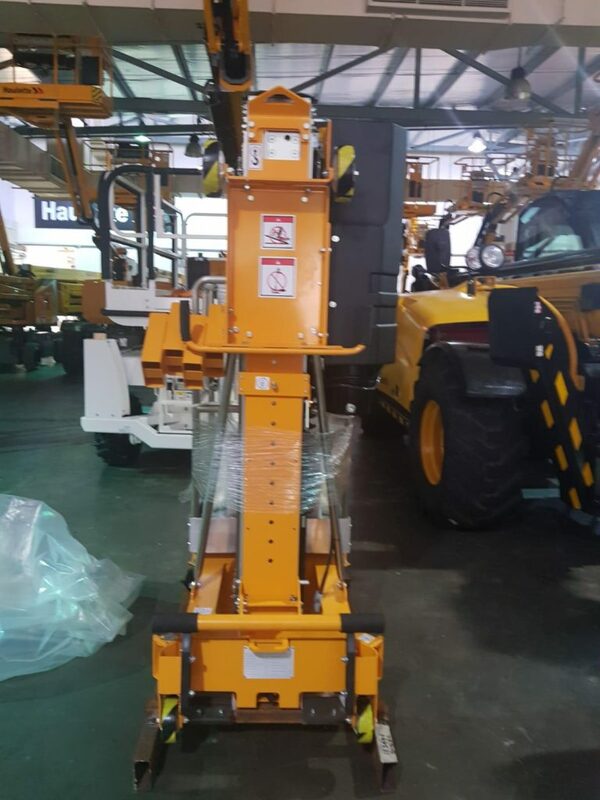 Manual Hand Winch Stackers feature a heavy duty mast and a unique winch design for easier and safer lifting. 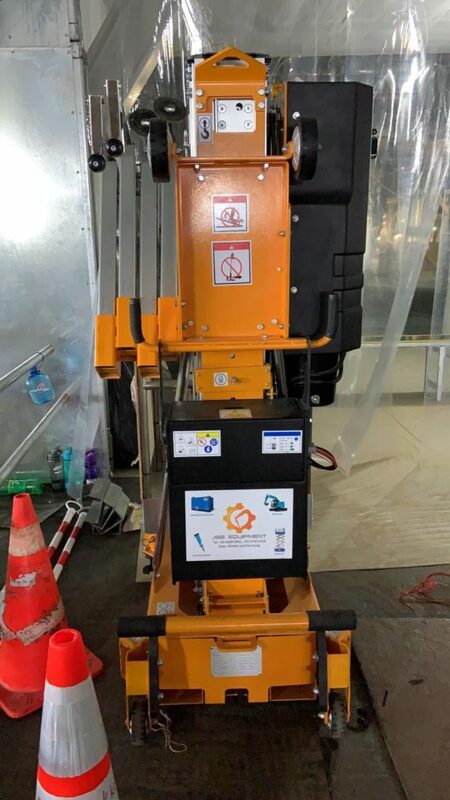 Lift and lower by hand winch and steel cable mechanism. 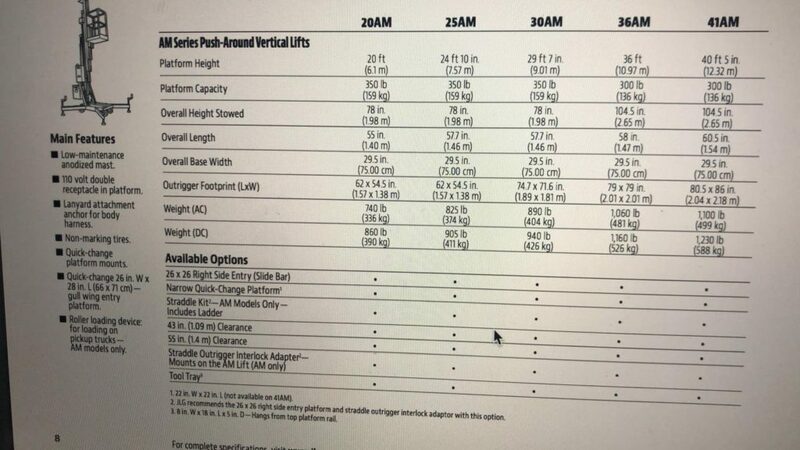 1″ lift per handle revolution. 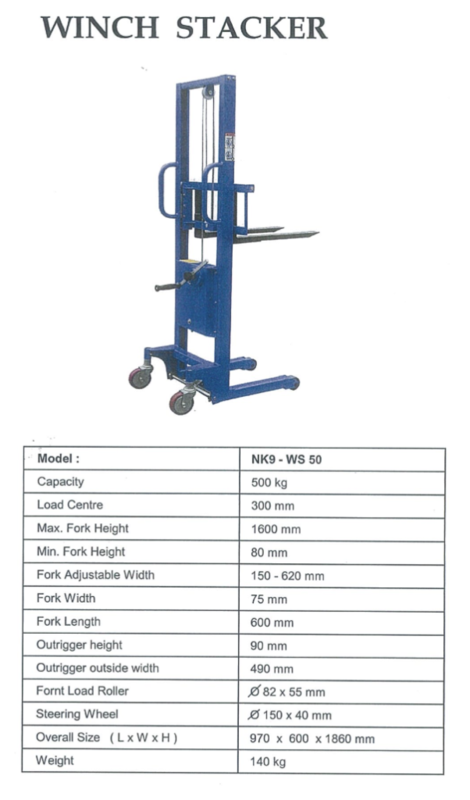 Two rigid and two swivel wheels with brakes for easy maneuvering.